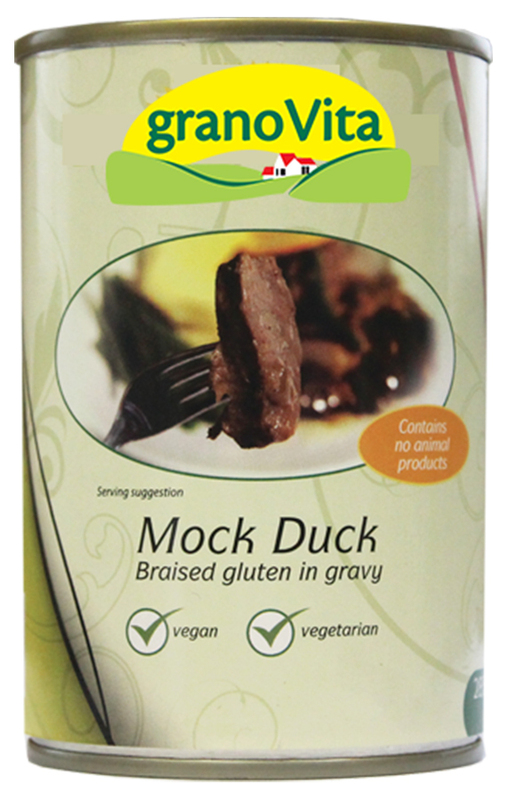 Suitable for Vegetarians and Vegans, Mock Duck is braised wheat gluten in a tasty gravy, which provides an excellent source of protein. Can be eaten on its own or added to your favourite savoury recipes. 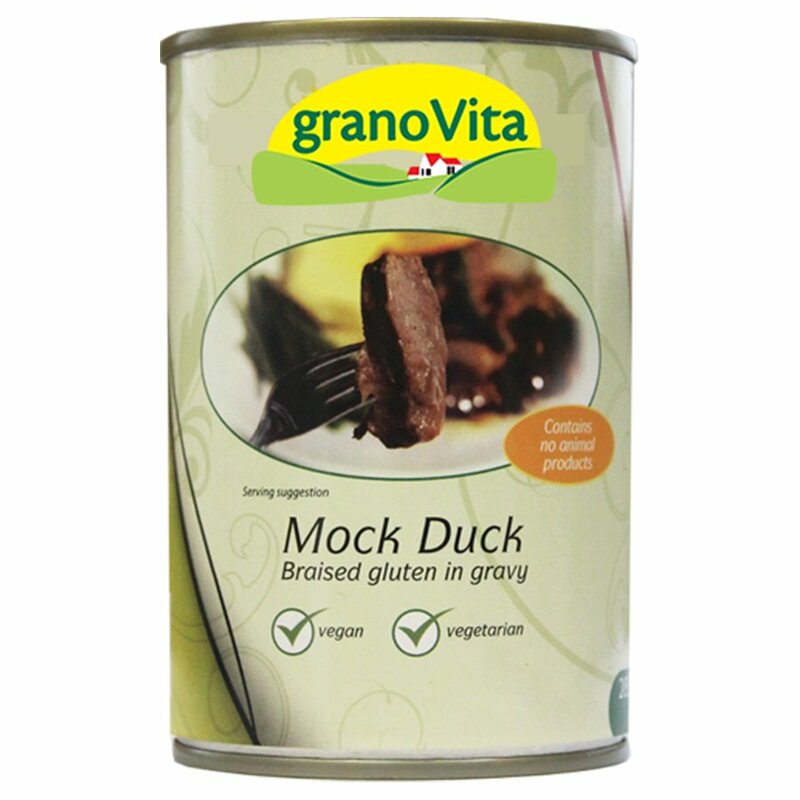 The Granovita Mock Duck 285g product ethics are indicated below. To learn more about these product ethics and to see related products, follow the links below. There are currently no questions to display about Granovita Mock Duck 285g. Granovita was founded in the UK in 1991 to provide consumers with a high quality range of healthy, nutritious, and vegetarian foods. To ensure that only the finest organic ingredients make up their products, Granovita harvest them when they are at their most nutritious, maximising the flavour as well as health benefits.